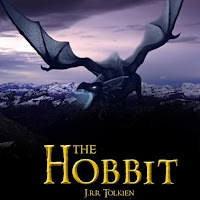 The Blog of the Hobbit: Filming has Begun! The second round of shooting has begun! The additional filming for The Hobbit movies began today, March 15. It will continue until the end of July. We are completely clueless as to the scenes that will be shot. Will there be more material from the Appendices of The Lord of the Rings? Which characters will return? We know nothing absolute, but there a buzz going around that we might see a return of Aragorn. I have already discussed this possibility in a previous post, but I reaffirm that nothing has yet been confirmed about anything.